Home > Eye Care > When Should Kids Have Their First Eye Exam? Children tend to be visual learners. Unfortunately, many eye conditions develop in childhood, which is why it’s imperative to be proactive about your child’s visual health. The most effective way to keep your child’s eyes in good shape is to have them undergo eye exams regularly. 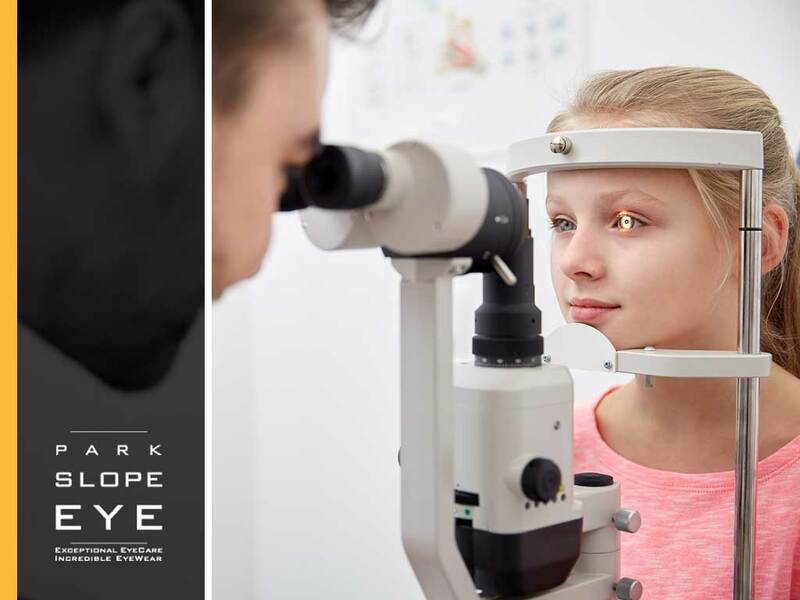 In today’s post, Park Slope Eye, your provider of dry eye treatment and other eye care services, discusses when you should take your child for their first eye exam. The American Optometric Association recommends that babies who have no symptoms of vision problems and are at low risk of having one should have their first eye exam at age six months old. Those who are at risk of having eyesight irregularities should also have their first eye exam at the same age or earlier, depending on your eye doctor’s recommendation. Children who are asymptomatic or at low risk of having vision problems should have their next comprehensive eye exam at least once between their third and fifth year of life. Those who are at risk of developing vision irregularities should also have their eyes checked by a pediatric eye doctor at least once during the same age interval or as often as your eye care expert suggests. Kids aged 6 to 18 years old without vision problems or at low risk of developing one should ideally have a comprehensive eye exam before they enter first grade and at least once every year thereafter. Children of the same age who are experiencing or are likely to experience vision difficulties may need to adhere to a more frequent eye exam schedule, depending on their condition. With regular eye exams, your optometrist can determine if your child has vision difficulties that may compromise their learning and development. The sooner these problems are identified, the better chances of maintaining your children’s visual health and quality of life. If we confirm they have nearsightedness, for example, we can prescribe a pair of eyeglasses that can help them see distant objects better, such as notes on the classroom board. Call us at (347) 380-7070 or complete our form to schedule a visit for you and your family today. We serve Brooklyn and nearby NY areas.